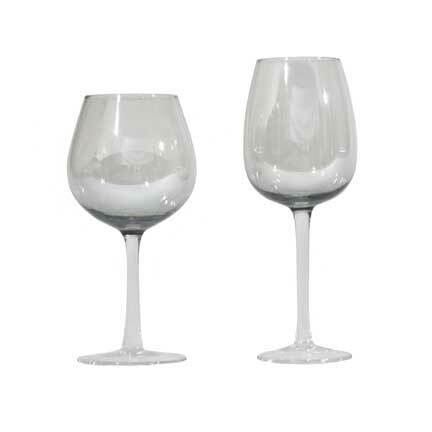 This beautiful glassware goes great with our Platinum Luster Charger Plate. Our Red Wine Smoke Goblet holds 19 oz. of liquid, and our White Wine holds 18oz. Each goblet is rented separately. Rented by the crate (16 per crate).